Nollywood actress, Yinka Olukunga popularly known as Nnenna following her lead role in Wale Adenuga’s production, “Nnenna and Friends”, has advised women not to remain in a marriage where they are turned into a punching bag. The actress gave the advice, while in a recent chat with NollyNow. The light- skinned mother of a set of twins, said while she would not advice any woman to divorce her husband, she, however, would not tolerate a situation where the latter is involved in wife battering. Responding to question on why celebrity marriages are crashing in Nigeria, the actress who got married to her beau in 2014, stated that no woman would want to go for divorce after marriage. According to her, “ When it happens, I’m sure it’s because there are some irreconcilable differences. It’s just for you to self-guard your own marriage and ensure that nobody tampers with your home. For me, if your husband is not a wife beater, you can stay back and see how you can work things out with him. But if he’s involved in wife battering, that is the one I wouldn’t tolerate. 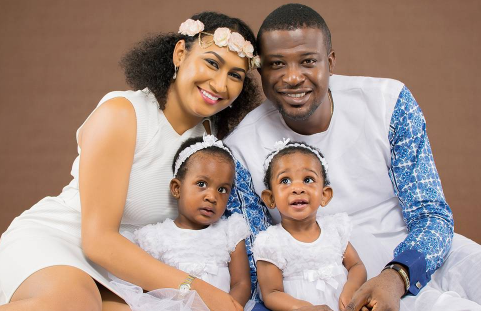 Yinka Olukunga got married to her hubby, Rotimi in Decembler, 2014 and the lovely couple are blessed with adorable twin girls. The pretty actress made her debut in the Wale Adenuga Production’s Super-story TV series as Nnenna. Ten years down the line, the actress, model and singer has become a household name among kids and teenagers.